Click here to download a full sized version of the Conference and Fieldweek group photos. Please note: Registration is closed.. 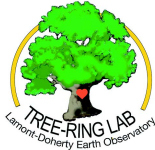 Since the first International Tree-Ring Conference, the field of tree-ring research has grown at a phenomenal rate. Much of the discipline's expansion can be accounted by the increasing numbers of students and scholars in developing countries. Despite the growing number of contributions from this sector of our community there has yet to be an international conference in a developing nation. 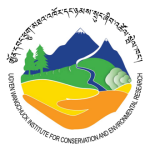 We intend to change that history by holding the 2018 International Tree-ring Conference in Thimphu, Bhutan. The Himalayan Kingdom of Bhutan faces two profound and immediate threats from climate change. First, altered precipitation patterns and accelerated glacial melting generates glacial lake outburst floods (GLOFs) and other flooding events, endangering life, livelihood, and cultural heritage. Second, changing and uncertain streamflow creates challenges for the generation of hydropower, which is the keystone of Bhutan's economic future. Bhutan is not unique in this position; the spectre of adverse climate change impacts on the world's mountain communities is a very real threat. Therefore, in addition to the traditional session topics in Dendrochronology, we extend a special invitation to those working in developing countries, and on climate change impacts in mountain environments to come to Bhutan and present your findings, and have those discussions that will improve your science and the science of others. iii) create a monetary fund to support young scientists in the host country. We hope you will embrace this initiative and help us set the example for the future.